The assumed benefits of customer service are numerous. You’ll hear people talk about happy customers, positive reviews, and a larger social media following, just to name a few. But can good customer service make you money? Can offering a better experience actually cause your company to be more profitable? You might think that customer service is just one of those things you have to do to improve your reputation or prevent negative experiences from spiraling out of control. But it can be so much more than that. 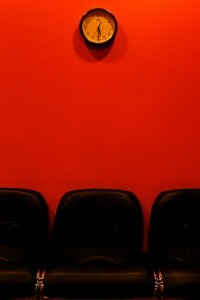 In fact, it’s been proven that the quality of your customer service is linked to your profitability. Let’s take a closer look at how customer service pays off for companies, and a few ways that you can improve it with the end goal of creating happier customers — and boosting your profits. Last month, Len Markidan of Groove wrote about a surprising statistic they uncovered during their 2013 SaaS Small Business Conversion Survey. 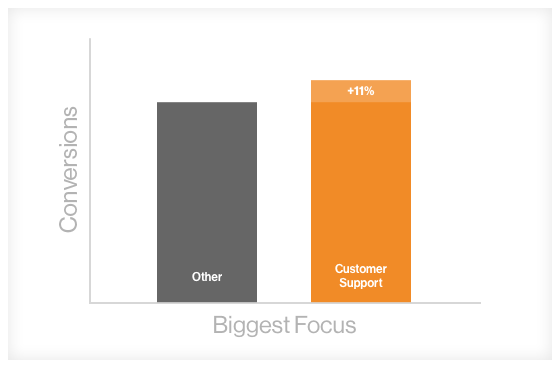 According to Markidan, Unbounce found that SaaS companies naming customer service as their biggest focus — which only made up 7% of respondents — reported conversion rates that were 11% higher than other companies. An 11% increase in conversions may not seem like much. But that’s an extra lead for every ten you receive, and an extra eleven for every hundred. In an article titled “Stop Trying to Delight Your Customers,” three directors from the Corporate Executive Board explain how “customer delight” — that is, the end goal of trying to make your customers happy and nothing else — isn’t always a successful strategy. Their research found that even happy customers aren’t necessarily loyal: 20% of “satisfied” said they intended to leave the company they were polled about. But 28% of “dissatisfied” customers intended to stay! The CEB directors suggest that it’s more sensible, and profitable, to instead focus on removing hurdles or common problems that your customers encounter. By making the process less of a hassle, you’ll not only make your customers happier… you’ll also save yourself money. Bell began training its reps not only to resolve the customer’s primary issue but also to anticipate and address common downstream issues. For instance, a high percentage of customers who ordered a particular feature called back for instructions on using it. The company’s service reps now give a quick tutorial to customers about key aspects of the feature before hanging up. This enabled Bell to reduce its “calls per event” by 16% and its customer churn by 6%. Faster issue resolution reduces costs significantly. For example, an issue that is resolved within 24 hours, at the first point of contact — something more likely to occur when all customer communication vehicles are in-sync — can be up to 170% less costly than an issue that takes 48 hours to resolve. 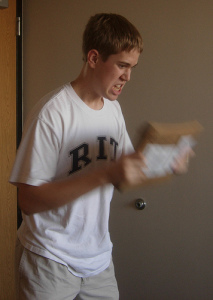 Do you wait for your customers to contact you before you start trying to solve their issues? Or do you offer any kind of proactive support like a knowledge base, live chat option, or other online resource? Returning again to Len Markidan’s research, there’s some very interesting data from a company named Proposify that added customer support widgets to its website. These widgets offered visitors easy access to help on a specific topic — such as editing content or creating templates — or the option to contact customer service for help. After two months, Proposify found that their average conversion rate from trial customers to paying ones was 9.85%. 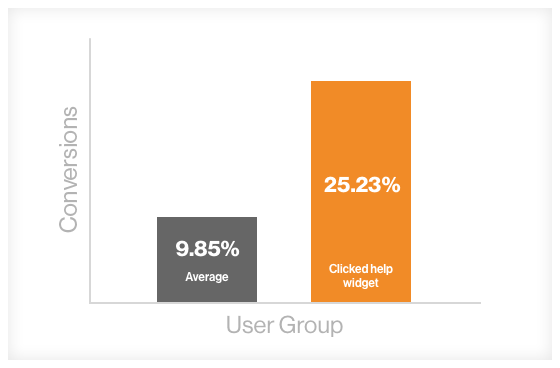 However, the customers who clicked on one of these support widgets converted at a much higher rate of 25.53%. All Proposify did was make its existing knowledge base of help information more easily accessible. This proactive solution increased their conversion rates by 156%. As Markidan explains, Groove took a proactive approach to their customer service as well. They set up a system that would alert them if users spent a high amount of time on a particular task. After receiving an alert, they would reach out to the user with an email offering to help. 30% of users who received one of these emails remained Groove customers after their trial ended, which is more than 350% higher than their average. How can you increase profits by helping customers? These examples all sound amazing. But how can you apply them to your own business? Here are a couple basic ways that you can improve your customer service and increase your revenue at the same time. If a potential customer or lead sends you an email with a question, how quickly does someone respond? Do you answer them “when you have time”? Or do you make responding to them a priority? The longer you take to respond to a request, the more time you’re putting in between that initial interaction with your company. When someone first contacts you, your company is fresh in their mind. But as the day goes on, they’ll probably start to forget about you and the question they had. Or, if they were having an issue, they could even grow more frustrated with you! Make responding to customers and leads your top priority. You’ll impress them, certainly, but also be able to take advantage of the fact that they’re currently thinking about your company, products, or services… and are probably much more willing to have a discussion now vs. later. By doing this, you’re making a real effort to help the customer as soon as they contact you — no matter when they do so. This may even help some customers solve their own problems! 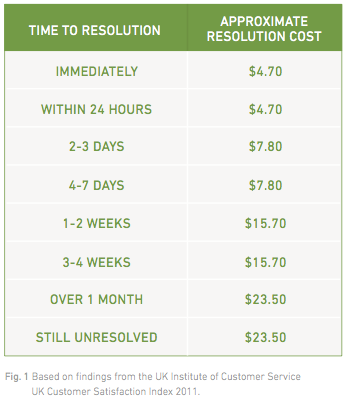 Also, as the Zendesk research above shows, the longer it takes to resolve a problem, the more money you lose. If you can find a way to make helping customers quicker, you may potentially save money. This might come in the form of creating an easily accessible index of common questions and answers for your customer service reps, or investing in additional training for your sales team so they can get leads the right information immediately. Do you have a particularly complex product that regularly confuses anyone who tries to put it together? Or do your B2B services seem to always require a sales rep to explain them before your leads really “get it”? If you have any hurdles like these in your process — whether they come up before, during, or after the purchase — squash them immediately. This may mean adding more thorough instructions to your packaging or website, or writing a piece of detailed content that explains what your services do and why they’re crucial. Hurdles like “I don’t understand” or “I can’t do this” can be a huge detriment to your profits. Listen to your customers and find out where they are stumbling, then find ways to make the process smoother. Proposify’s support widget example above is very telling if only because it shows just how valuable your FAQs, help pages, and resources can be for customers. In their case, they were able to significantly boost their conversion rates not only by creating a knowledge base of support material, but also by making it highly visible and easily accessible in the form of a pop-in. Customers really don’t want to have to call or email you for support. They’d rather solve the problem themselves. If you’re dealing with a service or business where all possible questions have to be resolved prior to purchasing, you could be driving potential buyers away because they just don’t want to make the effort to reach out. By adding on-site support and information — and answering as many questions as possible — you’re giving visitors to your site the chance to solve problems and answer questions themselves. This, in turn, can lead to fewer calls to support… and more conversions. Finally, it’s generally assumed that having a good reputation can help bring you more business. But are you actually paying attention to what your customers are saying about you? Keep an eye on review websites, stores where your products are sold, social media networks, and anywhere else you can think of to see what people are saying about your company. Not every review or piece of feedback will reach your inbox directly, so it’s crucial to monitor your reputation on the rest of the Internet, too. While we don’t recommend incentivizing reviews — that is, paying for people to say good things about your brand — we do recommend replying to negative ones. Even if someone had a legitimately poor experience with your brand or company, by replying to a negative review, you’re showing that you’re willing to listen, accept feedback, and try to make things right. This can be a huge benefit to your company that can convince more customers to give you a chance. While it’s definitely tempting to optimize your customer service programs out of a desire to make more money, this shouldn’t be the only reason you care about the quality of the experience you’re delivering to the people interested in your company. A great customer service experience can lead to word-of-mouth referrals, increased interest, return customers, positive reviews, and so much more. All of these are small things that can help increase your business’s popularity and reputation in the long run. Although your primary concern may be increasing profits, you may not realize that these small things can add up, over time, to do just that! Have any questions about how customer service pays off? Want to share an experience of your own where a great customer service experience helped make you — or someone else — money? I’d love to hear from you in the comments!